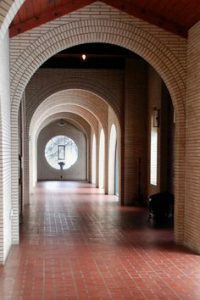 The Intensive-Post Intensive Retreats provides an opportunity to deepen the practice of Centering Prayer in an atmosphere of profound silence and community support. There are six 30-minute Centering Prayer periods daily. An established centering prayer practice is high recommended. The retreat begins Monday April 1st with dinner at 6pm and ends Sunday April 7th mid-morning with the closing session. The fee of $680 includes the retreat, meals and overnight accommodations. Reservations are limited and will be taken in the order in which they are received. A $100 non-refundable deposit is required with registration. the works of psychotherapist James Finley and Diana Fosha, as well as the work of spiritual masters Thomas Merton, Thomas Keating and Henri Nouwen. The presentation will be based on the Seven Steps of Spiritual healing by James Finley. The workshop will include teachings on practical contemplative practices for healing including Centering Prayer. Join us and others around the world for the 27th annual day of prayer. The day will include periods of Centering Prayer, a Contemplative Outreach DVD of Tami Simon’s tender revealing interview with Fr. Thomas Keating, and an opportunity to be in community with Centering Prayer practitioners from our area. A free will offering will be shared between COSD and CONSD. RSVP to Mary Williams at kirkmary@cox.net or Linda Dollins at dollinslinda@hotmail.com to help us prepare for hospitality. For 30 years Contemplative Outreach has been dedicated to transmitting the living tradition of the Contemplative Christian Heritage through the teachings of Father Thomas Keating and through programs and offerings that support the contemplative life. The primary purpose of Contemplative Outreach of San Diego is to teach the method of Centering Prayer and its immediate conceptual background. If you are interested in having a Centering Prayer workshop at your church, community, or organization, contact Karen Downs, kdowns2@san.rr.com. We are available weekends and weekdays. The purpose of the Half-Day of Prayer is to provide spiritual and moral support to members of the COSD community who have attended a Centering Prayer introductory workshop and are actively practicing this prayer form. This activity is generally sponsored by a COSD prayer group and is provided in a facility during a three hour period on Saturday mornings. The format includes two periods of Centering Prayer and a spiritual presentation with group discussion. Retreats provide an environment conducive to spiritual growth for persons who have attended an introductory workshop on Centering Prayer. Generally the retreats are three days of silence with five to seven periods of Centering Prayer each day. Personal spiritual direction is provided and a group dialogue is held on the final day. In a retreat setting the length of the periods of Centering Prayer can be extended. Lengthening or multiplying periods of Centering Prayer can help to deepen the experience of interior silence and promote the grow in intimacy with God. There are 3-day, 5- day and 8-day retreats offered locally and nationally.